Paralegal educational programs in the United States vary considerably in length and substance. 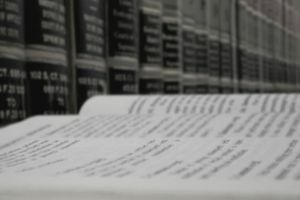 Although regulation is a hot topic nationally, the paralegal profession is presently not regulated (with the exception of the state of California) and individuals using the titles “paralegal” and “legal assistant” are not required to be licensed or to meet any specific educational or experiential qualifications. Paralegal programs should also give paralegals a basic understanding of American history, business, and political systems. Most paralegal educational programs incorporate an academic curriculum comprised of both substantive legal courses and professional skills that incorporate legal theory with an understanding of practical applications. Typical substantive legal courses include Introduction to the Legal System and Paralegalism, Ethics, Civil Litigation, Contracts, Torts, Real Estate Law, and Domestic Law. Skills courses include Legal Writing, Legal Research, and Case Analysis. Many paralegal programs also require students to complete an internship with a legal employer in exchange for school credit. The American Bar Association has established Guidelines for the Approval of Paralegal Education Programs to promote high standards of quality for the education of paralegals. To become eligible for ABA approval, a paralegal program must have been in operation for a minimum of two academic years and satisfy all requirements of the ABA guidelines. Schools that have obtained ABA approval must seek periodic reaccreditation. The ABA maintains a list of ABA-approved paralegal programs. Graduates of ABA-approved paralegal programs have a distinct advantage in the paralegal job market over graduates of non-approved programs because many employers use the ABA-approval as a way to select the best-qualified candidates. a bachelors’ degree in any field combined with a master’s degree in paralegal studies or a related field. While some paralegals in the legal market possess no formal education or obtained their education through home study or web-based paralegal programs, I would not recommend this path to those who are committed to a career as a paralegal. As paralegal educational standards increase and employers become more selective, these educational backgrounds (or lack thereof) may seriously limit your employment opportunities and income potential. If you have aspirations of going to law school, the paralegal field is a great way to gain first-hand legal experience and insight into law practice. However, you should note that a paralegal education is not the equivalent of a law school education and graduates of paralegal programs are not qualified or eligible to take the bar examination. Furthermore, academic credit for paralegal courses is not transferable for advanced standing in law school. Some paralegal programs allow a paralegal to choose an area of specialization. Hot legal specialties for paralegals include complex litigation, corporate law, intellectual property, regulatory compliance and real estate, according to Charles A. Volkert, III, executive director of Robert Half Legal, a leading staffing service specializing in the placement of legal professionals. Paralegal certification (not to be confused with a paralegal certificate) is a growing national trend that confers special recognition to paralegals who have satisfied certain predetermined qualifications in the paralegal field. While certification is not mandatory, it demonstrates a commitment to the field and may enhance your professional credibility and employment prospects.